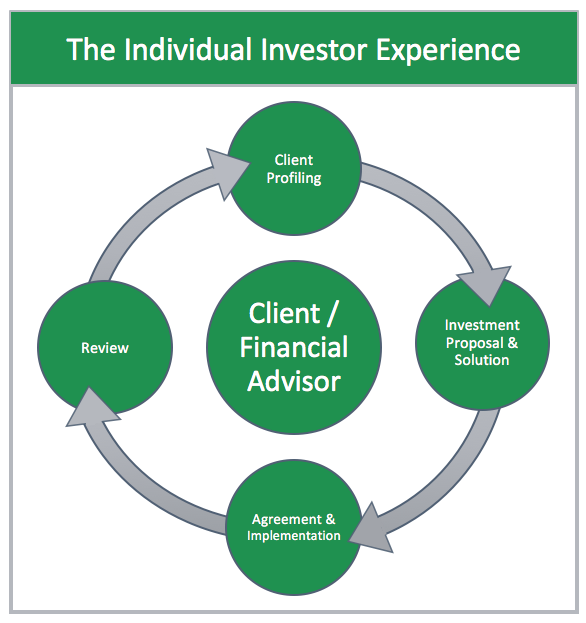 The Individual Investor Experience with Riley Nichols & Munn. Everything begins with the important relationship between a client and their Financial Advisor. The first step is to schedule a consultation, in which we begin by discussing and understanding your goals, objectives, time horizon, tax status and sensitivity to risk. The Riley Nichols & Munn team will conduct a comprehensive review of your situation and your current investments. Our experienced advisors will develop and recommend customized wealth management strategies, tailored to your unique goals. We will implement a plan that encompasses a variety of strategies to help you accumulate, manage and transfer wealth. Your advisor will review your portfolio regularly and propose any necessary adjustments to make sure your plan remains on track to manage your goals.